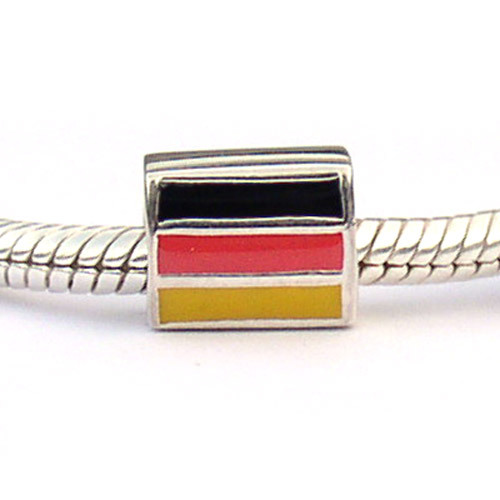 Germany Flag Carlo Biagi Bead Sterling Silver with enamel image on both sides. This bead has threading and fits Chamilia, P-NDORA, Troll bracelets and more. Sample display bead, Price reduced! Bracelet not included.